COUNTRY CLASS! 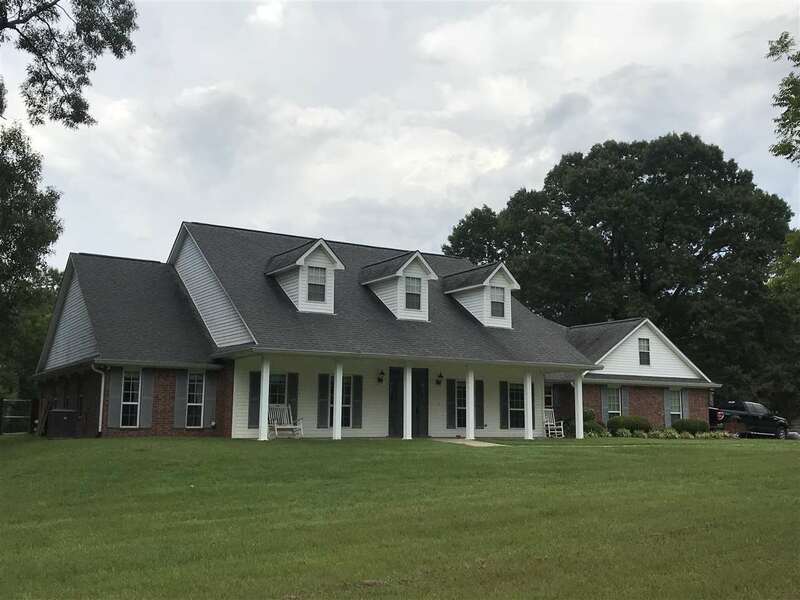 Truly a "move-in ready" 3 bedroom 2.5 bath 2984&apos; split floor plan home with automatic pool on 46+ hunting/recreation acres is impeccably maintained. Immediately notice high-end style when entering the foyer through the lead glass front door, crown moulding embellished ceilings, and beautiful tile floors throughout set the tone of quality! Large gourmet-style kitchen features gas range, granite counter and island, pull-out drawers in lower cabinets, spacious pantry/storage area connects to large utility room. Sunroom has stunning view of pool & fenced landscaped yard! The 9 ft ceiling den sports wood burning rock fireplace with custom crafted wood mantel. Workroom/gameroom can convert to 4th bedroom! Deep well, & automatic generator complete this package! © 2019 Texarkana Board of Realtors All rights reserved. Information deemed to be reliable but not guaranteed. The data relating to real estate for sale on this website comes in part from the Broker Reciprocity Program. Real estate listings held by brokerage firms other than are marked with the BR logo and detailed information about them includes the name of the listing brokers. Listing broker has attempted to offer accurate data, but buyers are advised to confirm all items. Information last updated on 2019-04-18.